A table centerpiece is the focal point of display and can have&nbsp the most memorable impact on an important&nbsp occasion, The Angelfish Centerpiece collection from Beachhouse Decor offers high impact in a coastal, nautical, marine, or beach theme theme presentation with high quality products at an affordable price. A table centerpiece is the focal point of display and can have the most memorable impact on an important occasion, The Angelfish Centerpiece collection from Beachhouse Decor offers high impact in a coastal, nautical, marine, or beach theme theme presentation with high quality products at an affordable price. Striped Angelfish are an ideal subject for artwork as they have a cute but stylist and graceful form with their tall mast-like fins and colourfull contrasts. They are found in Australasian waters. The Angelfish centerpieces collection features 6 different striped angelfish designs with a common all metal base and metal tree design.&nbsp The bases are black with traces of gold. The smallest BH330 is 41cm tall with a single large angelfish. Next is BH333 featuring sweeping current in the reeds and is 37cm long. 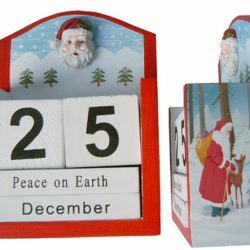 The coral tree version has an all white base and a metal tree that gives the effect of coral. The tallest centrepiece is BH331 at 72cm with 3 angelfish. 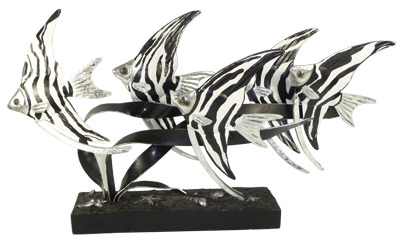 Those four all have poly-cement angelfish which the final design BH336 features a contrasting black and white metal set of 5 angelfish and is 55cm long. The angelfish table apprentices are available for purchase online immediately from the Coastal Designs Online Store and some other internet retailers listed in our list of stockists. Retailers please inspect the full range with prices and order online through our wholesale distributor. A trip to the beach, to the bay, or up any estuary along the coast would not be the same without the grace of the Pelicans or the squabbling of the Seagulls. Our artists have exquisitely captured our two main marine birdlife characters in the Australian Pelican and the Silver Gull in lifelike poses in metal for distinctive Home Decor. Just imagine these guys all over your bookshelf? The Australian Pelican, found throughout Australia, is a distinctive species. It is is widespread on freshwater, and estuarine marine wetlands and waterways. They are also be found at lakes, swamps, rivers, coastal islands and shores. The Silver Gull&#39 s colouration and small size distinguish it from the other two Australia Gulls, It is common throughout Australia and also found in NZ.. The Australian Coastal Sea birds Collection is a rustic yet lively, collection of favorite marine birdlife. Capturing the squabbling of the silver gulls in 4 positions and the grace of the Pelican is not easy. Our artists are to be congratulated. These birds are no longer in stock. This entry was posted in Coastal Decor and tagged Pelicans, seagulls. Bookmark the permalink. Coastal Kids is a new range of home decorations from the Beachhouse Decor Collection. 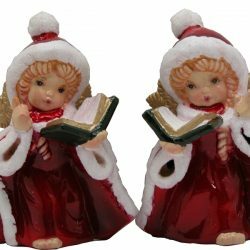 Made from Wood and metal in old fashioned hand made designs and old fashioned clothing styles, these figurines provide a nostalgic image of lazy summer days, bygone times with the gang and yesteryear. In the 50&#39 s Aussie kids would go fishing on the beach without any worries. Pleasant pastimes of quite, good natured and innocent fun, just mucking around in the sun and the sand or sitting on a jetty on the bay. BM132 Meggsie, the red head wearing green shirt and striped shorts carries a bucket and a fishing net. BM134 Joe, wearing a slouch hat, Blue Shirt and Green shorts, has a fishing rod and net. He always gets a fish. BM135 Kate is the quite one in the brightly coloured dress. She always brings her sand bucket. The Coastal Kids Collection is a wonderful collection of rustic, charming, nostalgic memorabilia to enhance any home. They represent bygone times when children had fun just enjoying the simple pleasures in life. This entry was posted in Coastal Decor and tagged boy, Coastal decor, coastal kids, figurines, fishing, girl, hand made, kids, metal decorations. Bookmark the permalink. The Beach Life Wall Art Collection from Beachhouse Decor inspires a feeling of crisp clean never ending golden sand beaches. These embossed metal reliefs are also unique artistic statements of carefull design and great respect for the Australian marine animal life. All metal peice for beachhouse amp Coastal themes. Features the look of sandy beaches in its rustic grainy finish. The Regatta has four 50 s style sail boats jiving to a finish. The seahorse represents Australia s many unique species of the strange and mystic seahorse. The shells and starfish really create the coastal image. The Australian Beach Life Wall Art Collection is an artistic collection of clean lines and nostalgic designs that captures the beauty of the beach. This entry was posted in Coastal Decor and tagged beach art, beach themes, beach wall art, coastal wall art, Wall art. Bookmark the permalink. Beachhouse Decor means leisurely and casual. It is beach front or bayside themes with a fresh relaxing casual coastal seaside or seashore feel for home decor. Beachhouse Decore means simple designs and earthy materials particularly wood, glass, stone &amp metal. Marine animals, sea shells and shore birds compliment this sytle. Nautical decor, Yachts and boating, marina quay lifsetyle designs are eligible. 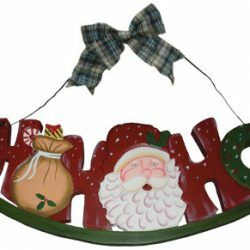 Colour and design specialist, Aniko Silk from Wholesale giftware suppliers Beachhouse Decor, who started this Beachhouse Decor label, has assembled a range of home decor and giftware items to suit this specialised decorating theme. 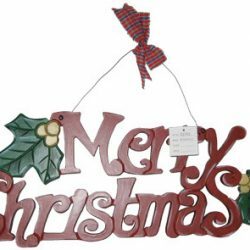 The Beachhouse Decor range can comprise not only nautical gifts but also a beach house casual theme home decor range from large wall art peices to smaller wall plaques, clocks, thermometers to small kitchenware &amp storage decor and living room ornaments and occasional small furniture peices such as Magazine racks and CD cabinets. Also book ends, tea lights, serving trays, tote boxes, gone fishing signs. 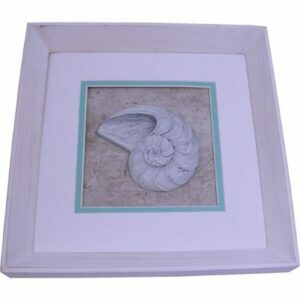 Anything to give that relaxing casual coastal seaside &amp seashore feel to the home. Great bathroom decor with nautical plaques, wall plaques and tealights. Marine animals available include handmade metal Pelicans, Seagulls, other Shore birds along with shell &amp starfish designs, starfish, dolphins, turtles, penguins, seals, fish seahorses and more. 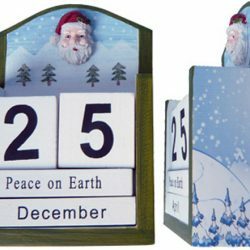 The Beachhouse Decor range is also ideal for decorating boys rooms and bath rooms with beach theme decorations, and includes many ideal gifts for men. Please review our on-line Wholesale Products Catalogue and find a stockist near you. This entry was posted in Coastal Decor and tagged beach girls, beach house decor, Beachhouse Decor, cars, surfy stuff, Wall art. Bookmark the permalink. Here are some feminine gifts for young girls. Cute trendy gift ideas for the young women. When it s a special birthday, or even Christmas, often it is requires a lot of thought in your shopping when searching to buy a gift that a little girl can really identify with without the overkill of modern technology. Review our Delaney range of beach theme products for young girls decor. These products can let you bring the feel of coastal living and the beach scene into their room. Search our online products catalogue then try our Beachhouse Decor Retailers. If your nearest gift shop stockist does not have a particular product item of our ours in stock, most will get it in for you, to enable you to surprise that special girl in your life with a great beach theme gift or decorations for her bedroom. See our full catalogue linked above. This entry was posted in Coastal Decor and tagged Gifts for girls, girls room decor, home decor. Bookmark the permalink.